The Atlas Orthogonist is a licensed Doctor of Chiropractic who has a post-graduate board certification in the Atlas Orthogonality (AO) program. You are probably asking yourself, “Atlas Ortho…what?” It really is simple to understand. Atlas is the top bone in the neck. It sits just below the skull. Orthogonal means at right angles, 90° or square. The Atlas should be level and the head should be positioned squarely on top and the cervical spine (neck) should be positioned vertically below it. The head is designed to be vertical. The eyes are designed to be level with the horizon. 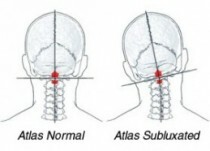 If the Atlas is misaligned, or subluxated, it causes the head to tilt. This subluxation will trigger muscle spasms, inflammation, and ultimately pain and dysfunction. One of the most obvious differences about the AO technique is the gentle, painless way in which the adjustment is performed. No manual manipulation is ever needed. The Atlas Orthogonist’s method requires such light touches to the affected area, patients find it hard to believe that such a light touch can be so effective without twisting or popping the neck or spine. Their doubts and fears quickly vanish when their pain and discomfort disappear. The Atlas Orthogonal (AO) adjustment works in a way which speeds and encourages the body’s own healing processes to rejuvenate. 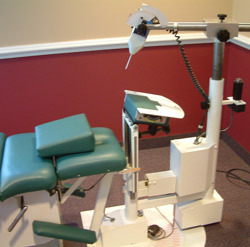 Using a state of the art percussion-adjusting instrument, Dr. Boccella will gently adjust the upper cervical spinal vertebrae back towards normal alignment, thus restoring proper spinal biomechanics, decreasing muscle spasm and reducing neurologic interference, which means a reduction of inflammation and pain. This adjustment is very safe and effective. If you’ve been to a chiropractor before and prefer to be adjusted in a particular way, let Dr. Boccella know. We want you to relax, enjoy and fully benefit from your chiropractic care. Contact us today to get started!